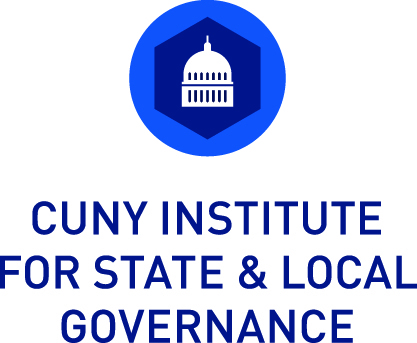 The Institute for State and Local Governance is a nonpartisan research and policy institute within the City University of New York (CUNY). The Institute’s mission is to work with government and non-government organizations to improve systems to produce better results worthy of public investment and trust. We aim to advance data-driven approaches that influence policy and operations and that support work in diverse communities. In short, we help government—and organizations connected to it—do better. We focus on working with cities and states because they are ideal laboratories for developing new approaches to longstanding social problems, and are ripe with opportunities and momentum for real, sustainable change. We draw on our deep government experience and networks to inform our work, and our position within the City University of New York—one of the largest and most diverse urban universities in the nation—enables us leverage the deep expertise of hundreds of CUNY faculty. It also allows us to engage CUNY students and communities and work with them to incorporate their experiences, perspectives, and knowledge across our issue areas. As part of ISLG’s work for the Volcker Alliance’s Truth and Integrity in Government Finance Project, we worked with students from the Master of Public Administration in Public Policy and Administration Program at CUNY’s John Jay College of Criminal Justice under the advisement of Professor Marilyn Rubin.